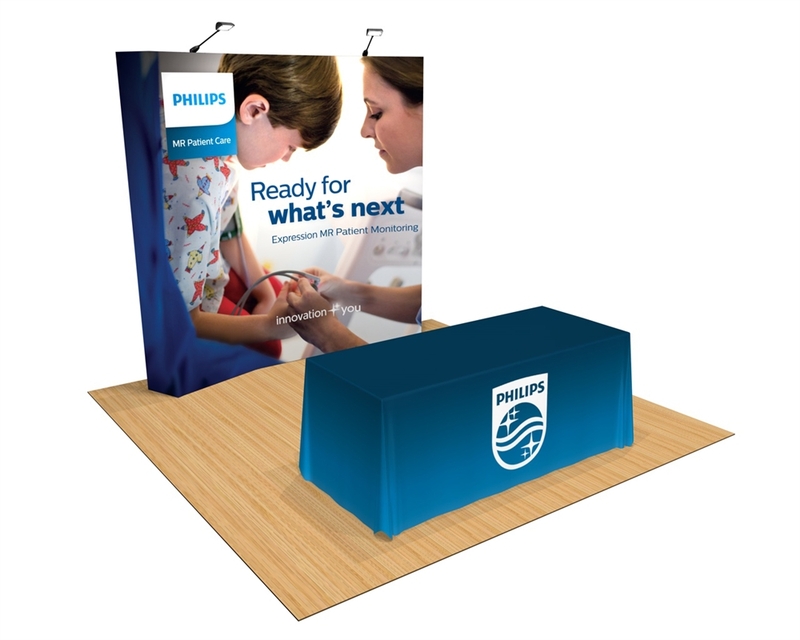 Popup frame featuring a single, high-quality fabric graphic that attaches directly to the frame and sets up in minutes. The kit comes with a custom printed table throw and the display collapses down and packs into a hard shipping case. 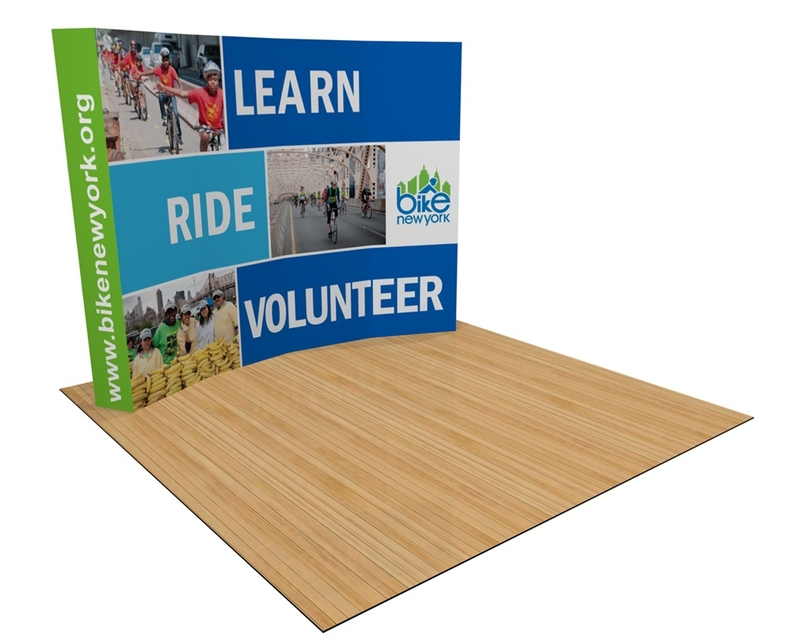 Popup frame featuring a single, high-quality fabric graphic that attaches directly to the frame and sets up in minutes. The kit comes with a custom printed table throw and the display collapses down and packs into a hard shipping case. 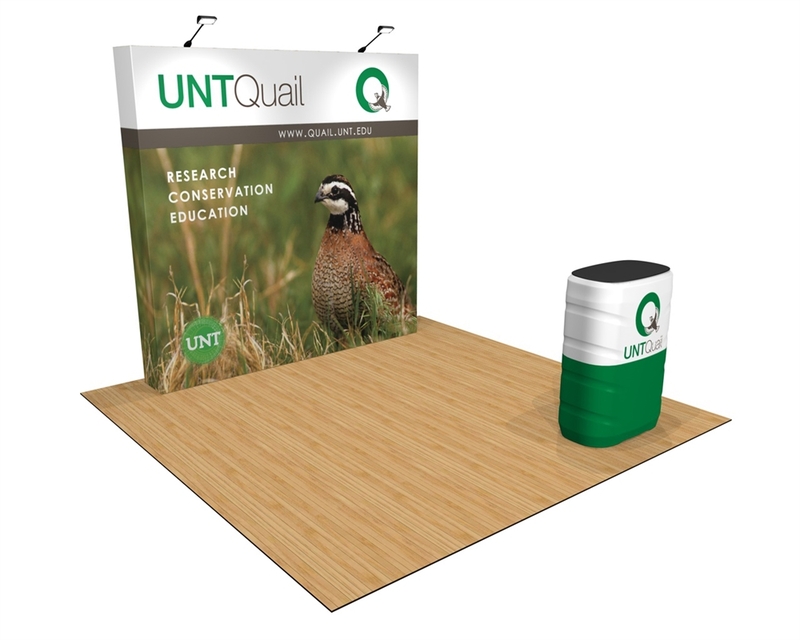 Popup frame featuring a single, high-quality fabric graphic that attaches directly to each side and sets up in minutes. Price includes over head lighting and a hard shipping case that converts to a custom printed graphic counter. 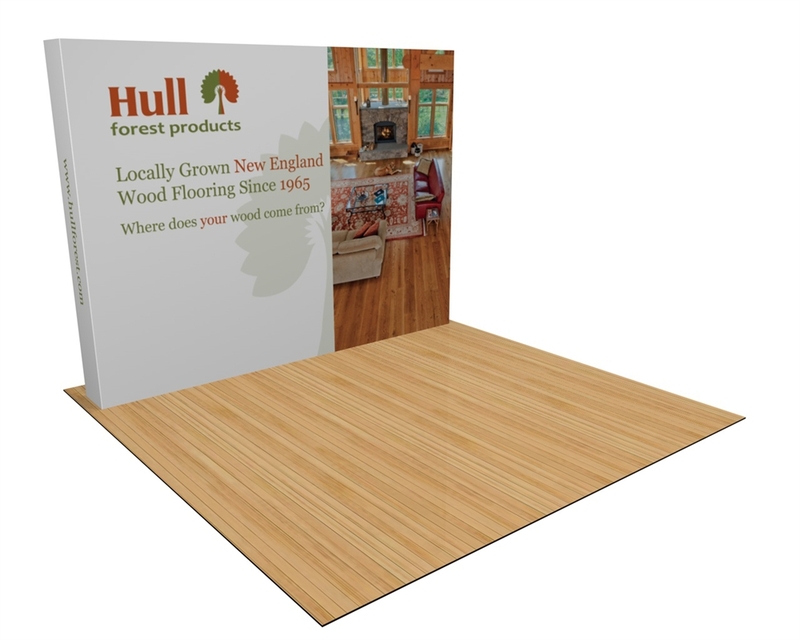 Popup frame featuring a single, high quality fabric graphic that attaches directly to the frame and sets up in minutes. Price includes over head lighting and a hard shipping case that converts to a custom printed graphic counter. 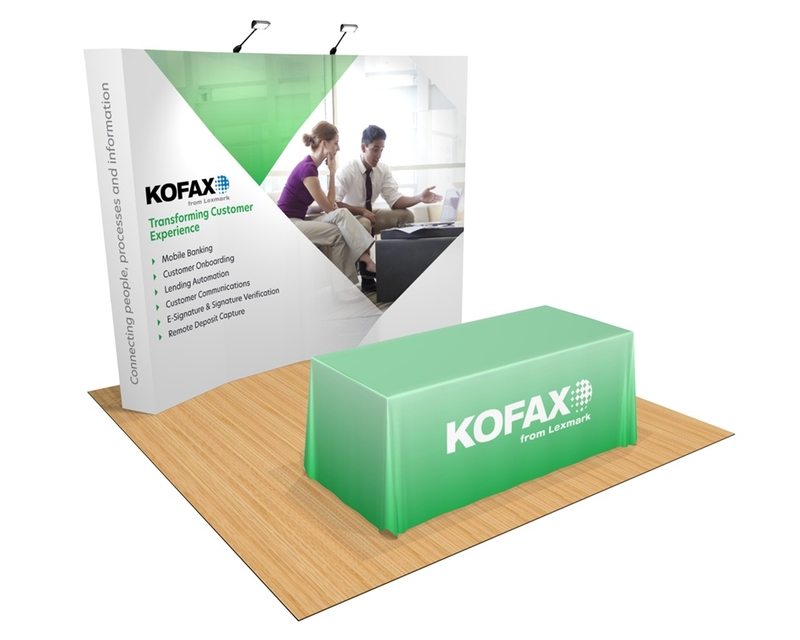 Lightweight yet durable trade show display that sets up in minutes featuring a high- quality printed fabric that attaches directly to the frame. The kit includes a hard shipping case, 2 LED lights, and a 6ft printed table throw. 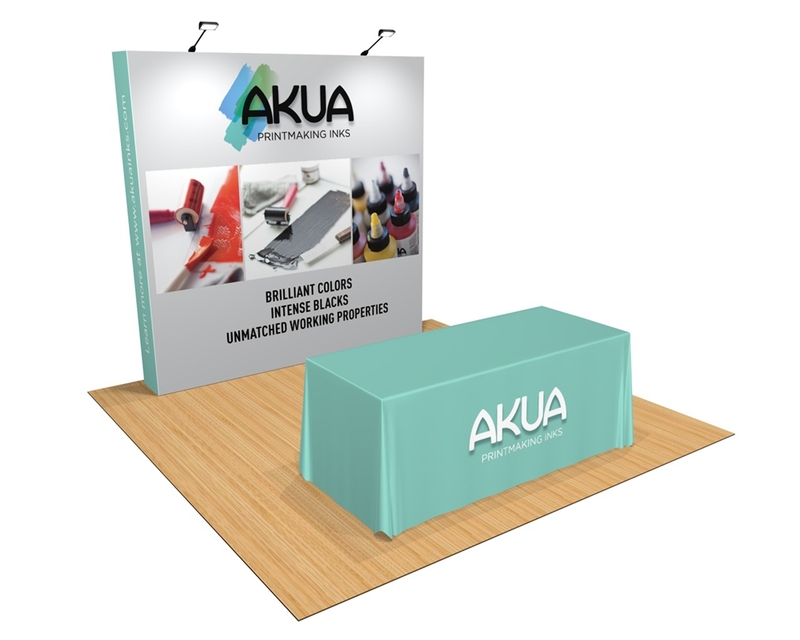 Lightweight yet durable trade show display that sets up in minutes featuring a high-quality printed fabric that attaches directly to the frame. The kit includes a hard shipping case, 2 LED lights, and a 6ft printed table throw. Lightweight yet durable display that sets up in minutes featuring a high- quality printed fabric that attaches directly to the frame. Kit includes a hard shipping case that converts to a counter with a printable graphic wrap and 2 LED lights. 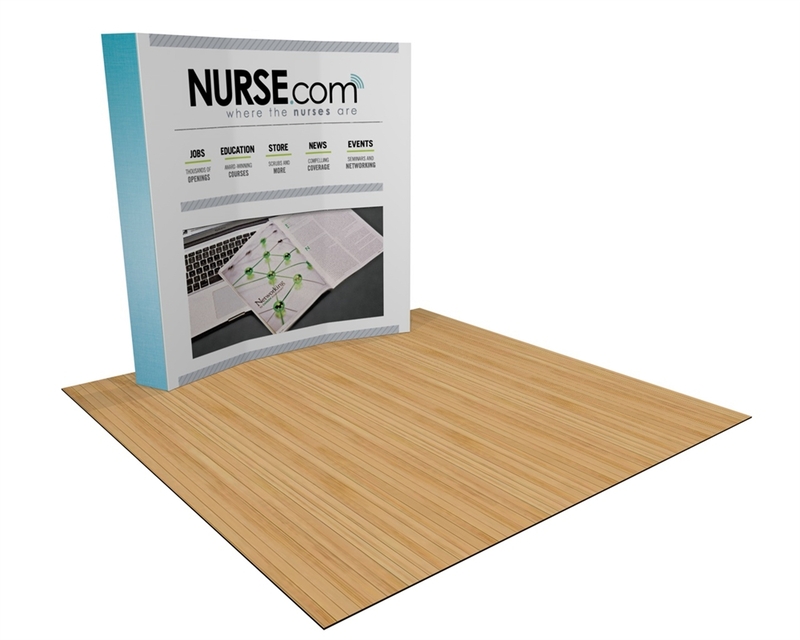 Lightweight yet durable trade show display that sets up in minutes featuring a high- quality printed fabric that attaches directly to the frame. Kit includes a hard shipping case that converts to a counter with a printable graphic wrap and 2 LED lights. 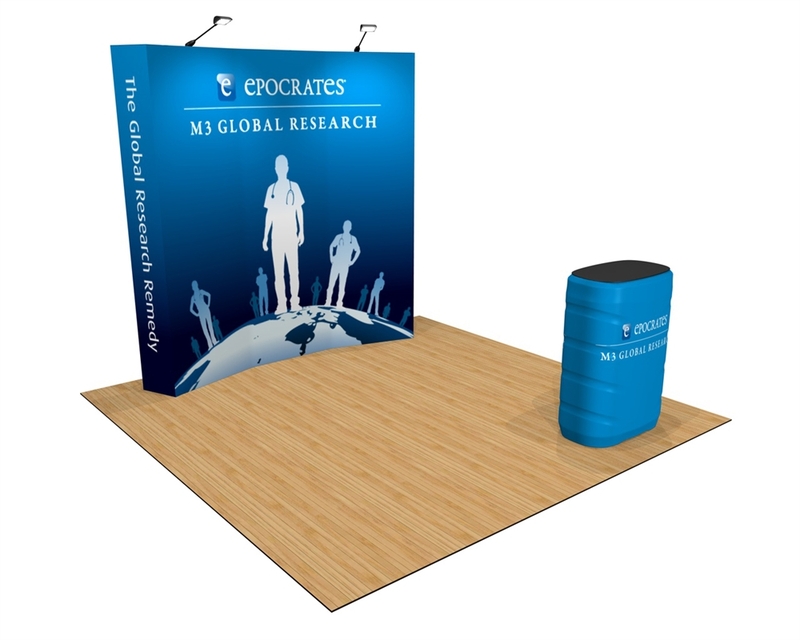 Trade show display that sets up in minutes featuring a high-quality printed fabric that attaches directly to the frame. Lightweight yet durable, this display ships in a soft padded bag. 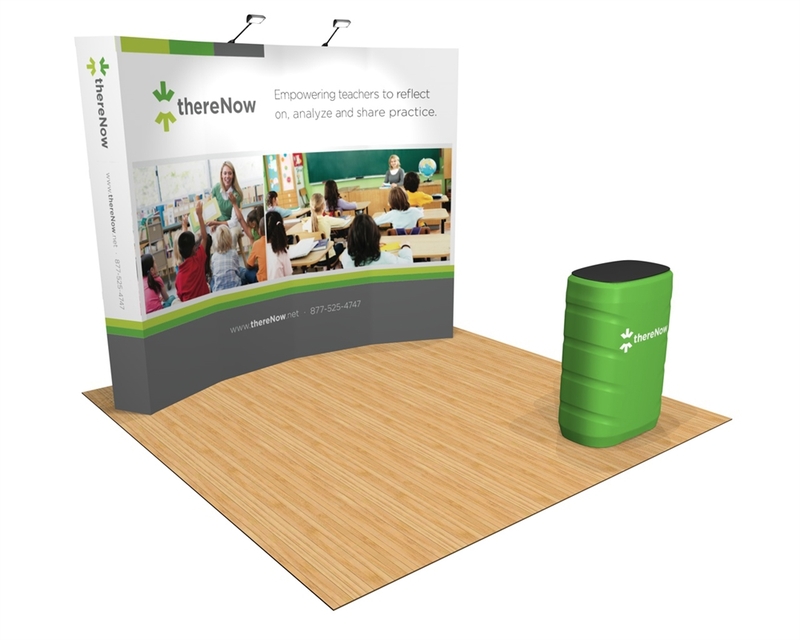 Curved backwall trade show display that sets up in minutes featuring a high-quality printed fabric that attaches directly to the frame. Lightweight yet durable, this display ships in a soft padded bag. 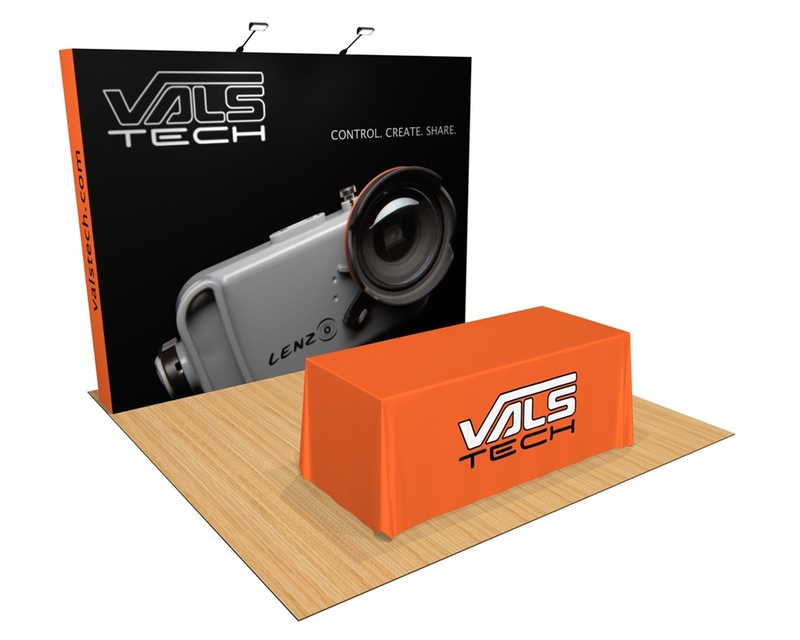 A trade show display that sets up in minutes featuring a high-quality printed 8' fabric backwall that attaches directly to the frame. Lightweight yet durable, this display ships in a soft padded bag. 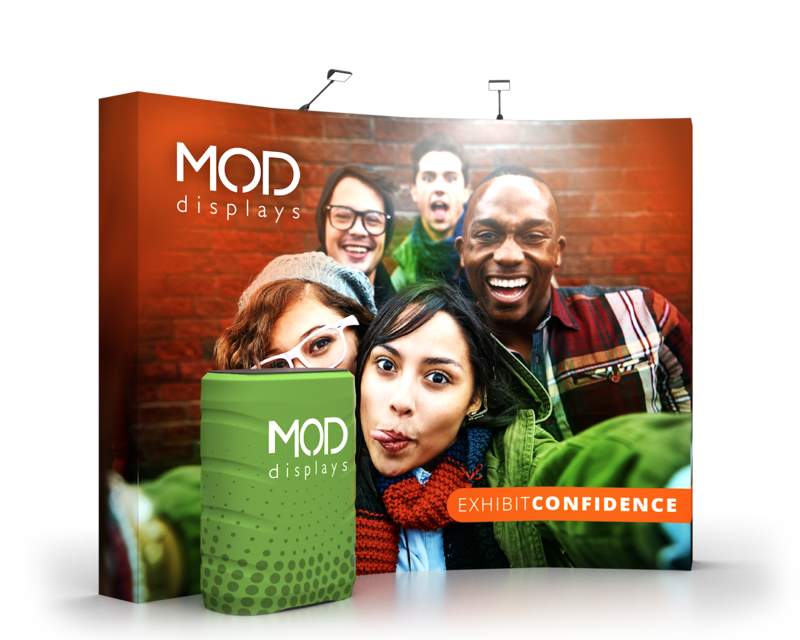 A trade show display that sets up in minutes featuring a high-quality printed, 8' curved fabric graphic that attaches directly to the frame. Lightweight yet durable, this display ships in a soft padded bag. 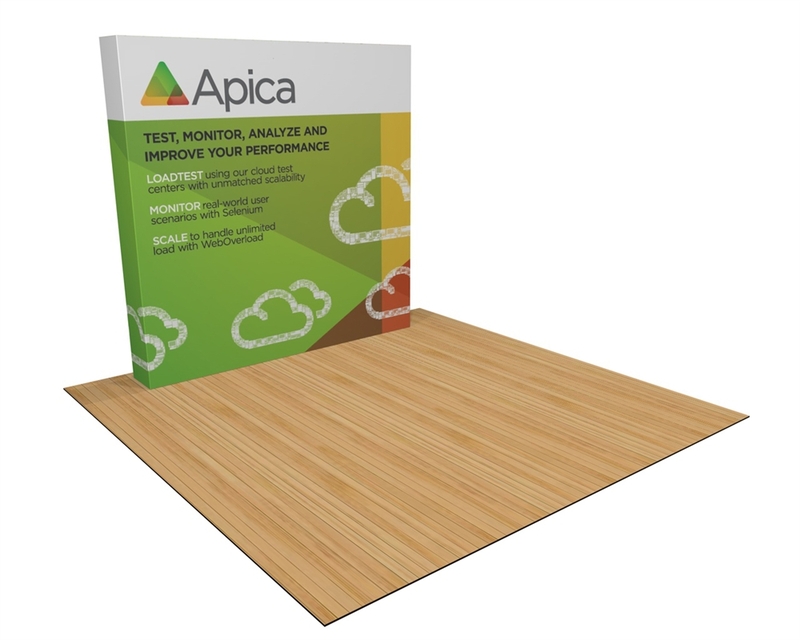 When speed is king, the lightweight OneFabric display frame and graphics accordion open for a simple 5 minute setup. The frame hooks together, and the high-quality printed fabric folds around the sides for a custom-branded edge. Graphic stays connected to the frame while stored. 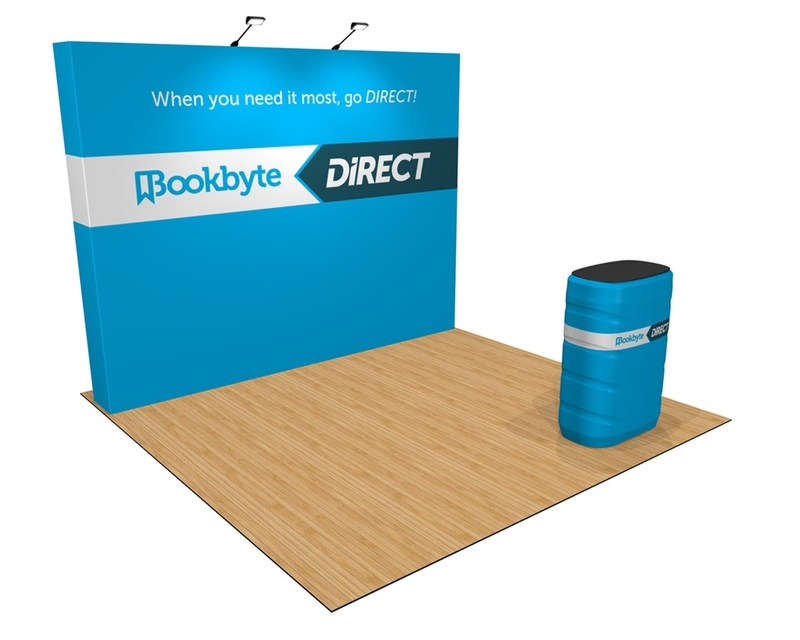 Kits include lighting and either custom table throws or custom-printed shipping cases that double as info counters. A variety of backwall sizes and shapes include flat or curved profile. Each backwall comes with a soft padded bag for easy transport. This display system is also perfect for Step-and-Repeat backdrops for photographing guests at award ceremonies, galas, openings, and more.